Recorded in both a live and studio setting, this 3-CD set chronicles Korner’s musical activities throughout that most tumultuous of decades as he went from kick-starting the British blues boom to ending the Sixties in the company of a new generation of blues-rockers, thrilled to be enjoying the patronage of a much-loved elder statesman. Widely acclaimed as the Godfather of British blues, the late Alexis Korner boasts a reputation which is fully deserved. As leader of Blues Incorporated, he was a pioneer of the genre, a Zelig-like presence and generous enabler who inspired a swathe of putative young blueshounds that included Brian Jones, Mick Jagger and Keith Richards (as Richards once acknowledged, The Rolling Stones wouldn’t have existed without him), Eric Burdon and Eric Clapton. 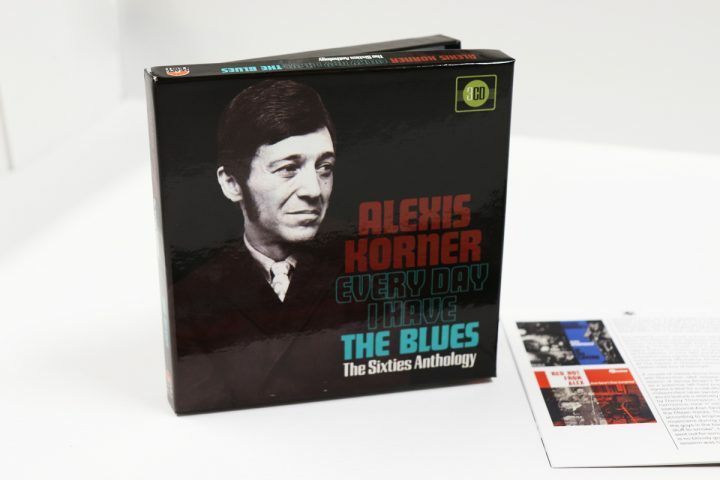 But Korner was more than just a seismic influence, as Every Day I Have The Blues: The Sixties Anthology makes clear. 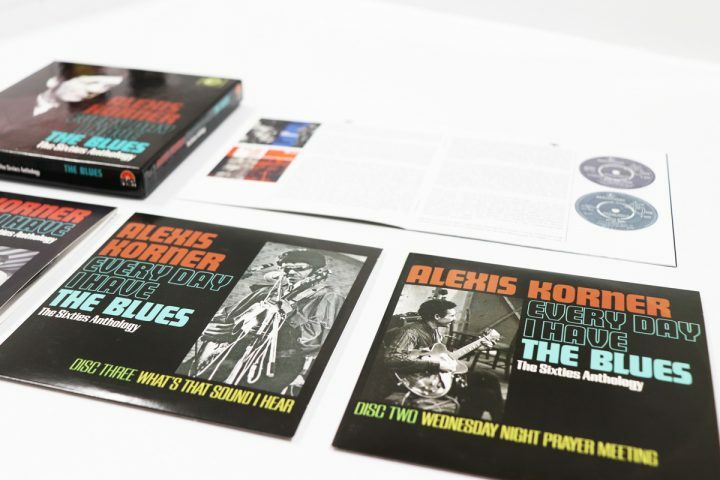 Recorded in both a live and studio setting, this 3-CD set chronicles Korner’s musical activities throughout that most tumultuous of decades as he went from kick-starting the British blues boom to ending the Sixties in the company of a new generation of blues-rockers, thrilled to be enjoying the patronage of a much-loved elder statesman. Every Day I Have The Blues features tracks from such legendary British blues live documents as R&B From The Marquee and At The Cavern as well as a clutch of studio albums, with sensational lead vocal performances from the likes of Cyril Davies, Long John Baldry, Ronnie Jones, Herbie Goins, Duffy Power and Robert Plant, who was in the middle of recording an album with Korner when Led Zeppelin came calling. 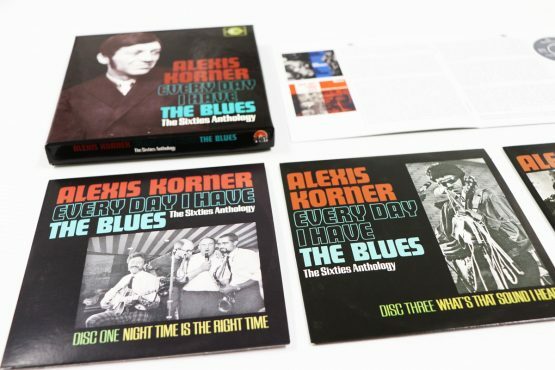 With rare singles, studio outtakes and non-UK releases added to the pot, Every Day I Have The Blues is the definitive document of Korner’s work during the Sixties. It comes in a stylish clamshell box with a 24-page booklet of rare photos and a new 5000+ word essay on his career during the period in question.